This small but classical arrangement makes a lovely gift for any occassion and easily placed around the home. Designed in a modern and simple style in stunning shades of lilac and purple. Add a card message and this handemade gift is ready for delivery by Hillmans Florist in and around Hereford.Nothing to do but enjoy. 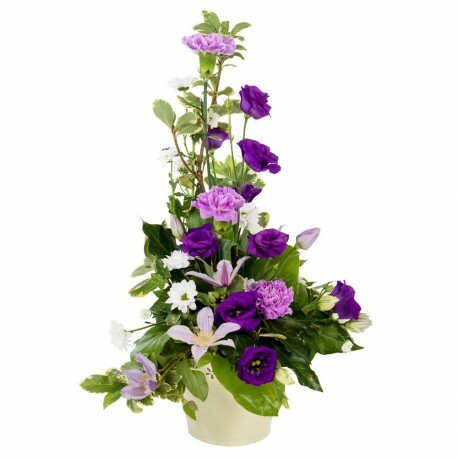 The design shown is the standard option and colour can be changed but must be specified at time of ordering under "Special instructions"
Some flowers may be delivered inbud for maximum shelf life.